Papermaking first began in the town of Renkum in the Netherlands in the 16th century. Today, it is home to Smurfit Kappa Parenco BV, a major Dutch paper producer that can boast one of the most advanced automated warehouse truck solutions of the 21st century. Smurfit Kappa Parenco needed to fully automate its warehouse in order to increase logistical efficiency. A solution was required for the transport of rolls from the mill’s two paper machines into the warehouse and from the warehouse to the truck loading area. 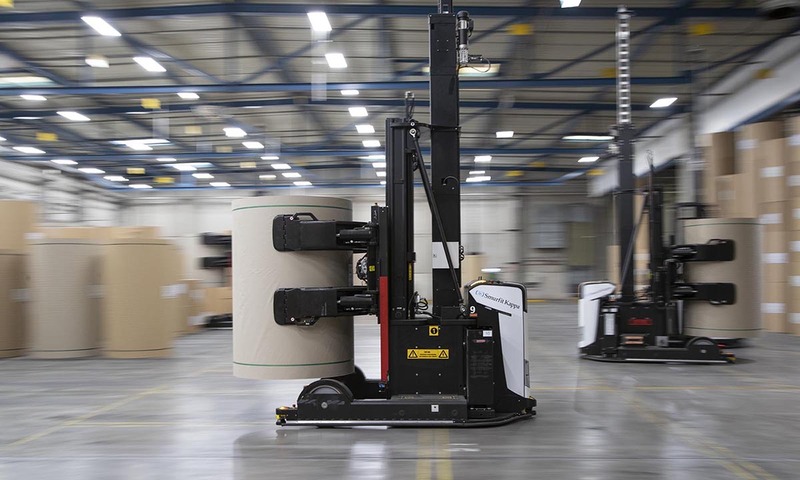 The solution was Rocla’s AGV system with a fleet of 16 of Automated Guided Vehicles (AGV) and automated battery exchange system. Read the whole story here.